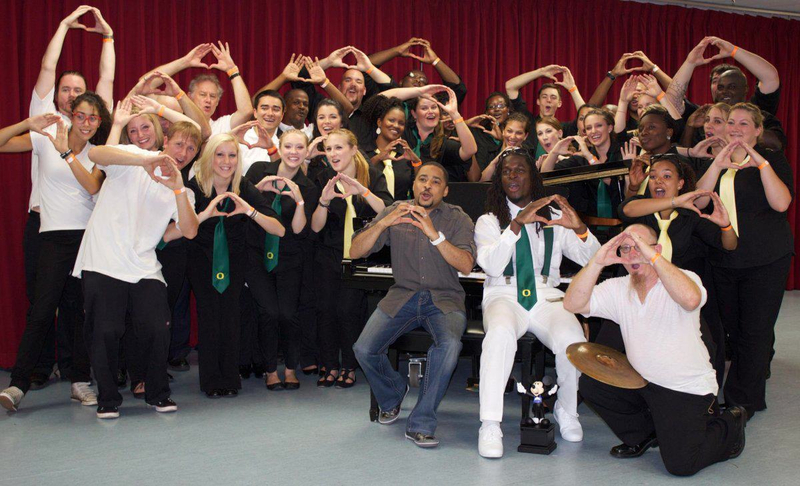 On Saturday February 23rd, 2013 at 3pm and 6pm, the University of Oregon Gospel Singers, a two time National Champion Gospel Choir, will perform at Shepherd of the Valley in a benefit concert that will help raise necessary funds for their trip to China in late March of 2013. The group will sing on the Great Wall of China and other venues to share the gift of uplifting spiritual music with a country where hope is scarce for many. The trip is said to require an additional $25,000 to cover the costs of international airfare, Chinese student visas, bilingual tour guides, and other booking fees. 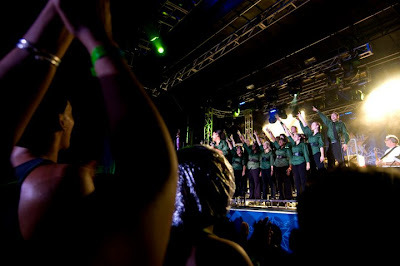 at the Walt Disney World Gospel Choir Fest in 2011.
their end of term concert at Beall Hall. 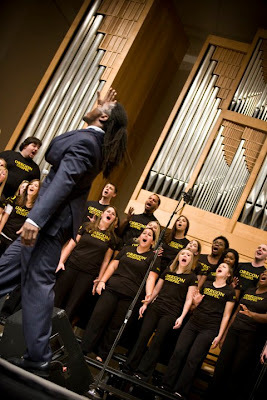 The U of O Gospel Singers is an auditioned group of 20-25 singers of mixed racial, religious, and cultural backgrounds who gather to study and perform predominantly African-American Sacred music. They travel with a dedicated eight piece band. The group has sung all over Oregon in many different venues, including schools, churches, libraries and the state capitol building. They are a recognizable performance group in the community, having opened for and performed with such artists and public figures as the Eugene Ballet, Lyle Lovett, Smokie Norful, and Dr. Maya Angelou, to name a few. Most recently the group traveled across the country to Orlando, FL where they were back to back National Champions at the Walt Disney World Gospel Choir Fest in 2010 and 2011. "Taking this gospel music to China will be an unprecedented cultural exchange as the people of China are not accustomed to gospel music (sacred music indigenous to the U.S.)." Andiel Brown, a former Duck football player and alumni of the School of Music and Dance, is their esteemed and fearless director. The group will be singing at the Great Wall of China, two universities, and a professional performance hall. "We have the opportunity to do something even greater, something more profound than ever before." Award winning Gospel artist Smokie Norful. The event will be open to the public, and reservations are required ahead of time, due to limited space. To reserve your spot at the event, please click here or visit uogospelsingersbenefitconcert.eventbrite.com. There is a $20 suggested donation per person. UO Gospel Singers sing "Bless Me," by Donald Lawrence. 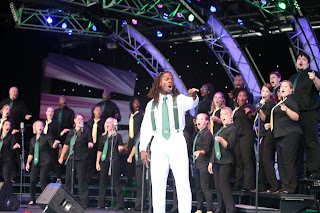 Gospel Singers perform at Walt Disney World's "Night of Joy" in Orlando, FL.